The need to familiarize medical students and graduate health professional students with research training opportunities that cultivate the appeal of research careers is vital to the future of research. 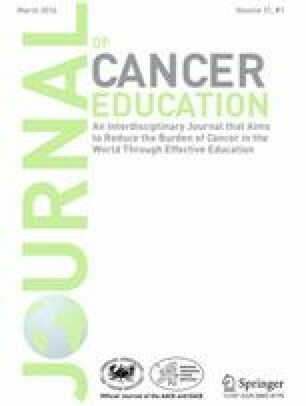 Comprehensive evaluation of a cancer research training program can be achieved through longitudinal tracking of program alumni to assess the program’s impact on each participant’s career path and professional achievements. With advances in technology and smarter means of communication, effective ways to track alumni have changed. In order to collect data on the career outcomes and achievements of nearly 500 short-term cancer research training program alumni from 1999–2013, we sought to contact each alumnus to request completion of a survey instrument online, or by means of a telephone interview. The effectiveness of each contact method that we used was quantified according to ease of use and time required. The most reliable source of contact information for tracking alumni from the early years of the program was previous tracking results, and for alumni from the later years, the most important source of contact information was university alumni records that provided email addresses and telephone numbers. Personal contacts with former preceptors were sometimes helpful, as were generic search engines and people search engines. Social networking was of little value for most searches. Using information from two or more sources in combination was most effective in tracking alumni. These results provide insights and tools for other research training programs that wish to track their alumni for long-term program evaluation. The authors wish to thank our website manager Mr. Gregory Caudle of the UAB School of Public Health for his invaluable contributions, and Charles T. Prickett, M.P.H., for his assistance managing data from our earlier study. Farooq Sheikh AS, Sheikh SA, Kaleem A, Waqas A. Factors contributing to lack of interest in research among medical students Adv Med Educ Pract. 2013; 4: 237–243. Published online Nov 7, 2013. doi: 10.2147/AMEP.S51536 PMCID: PMC3826903. National Institutes of Health. Types of grant funding. http://grants.nih.gov/grants/funding/funding_program.htm#Resource Accessed on October 30, 2014. Drupal Content management system: http://www.drupal.org; Webform module: https://www.drupal.org/project/webform; Webform Encryption Module: https://www.drupal.org/project/webform_encrypt; MCRYPT: http://php.net/manual/en/book.mcrypt.php; MySQL Database: http://www.mysql.com/. Accessed on October 31, 2014. Wikipedia: Google search. http://en.wikipedia.org/wiki/Google_Search. Accessed on October 28, 2014. Wikipedia: Facebook. http://en.wikipedia.org/wiki/Facebook. Accessed on October 28, 2014. LinkedIn: World’s Largest Professional Network. https://www.linkedin.com/. Accessed on October 30, 2014. Instructional Assessment Resources: response rates. http://www.utexas.edu/academic/ctl/assessment/iar/teaching/gather/method/survey-Response.php. Accessed on October 30, 2014.